AIM Mail Centers, based in Irvine, California, has developed a unique opportunity designed especially for motivated entrepreneurs. 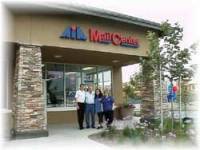 AIM Mail Centers franchises are complete postal and business service centers, providing up to 30 different products and services, including shipping, packaging, faxing, notary, mail box rental, photocopy, business cards, office supplies and much, much more. The home based business market is growing at a remarkable rate. Growing from a base of 6 million home offices in 1980, more than one in four U.S. workers in 28 million households is now regularly working at home at least part of the week. For the past five years at a rate of one every 35 seconds, someone has begun a full or part time business in their home. With this, as well as residential and business customers, the demand for postal, shipping and business services continues to boom.